Hi!! It’s only been 4 days since my last post, but when good food’s been eaten, it’s time to write. Yesterday was my brother’s last night here before going back to boarding school in the States, so of course we had to go out and celebrate. 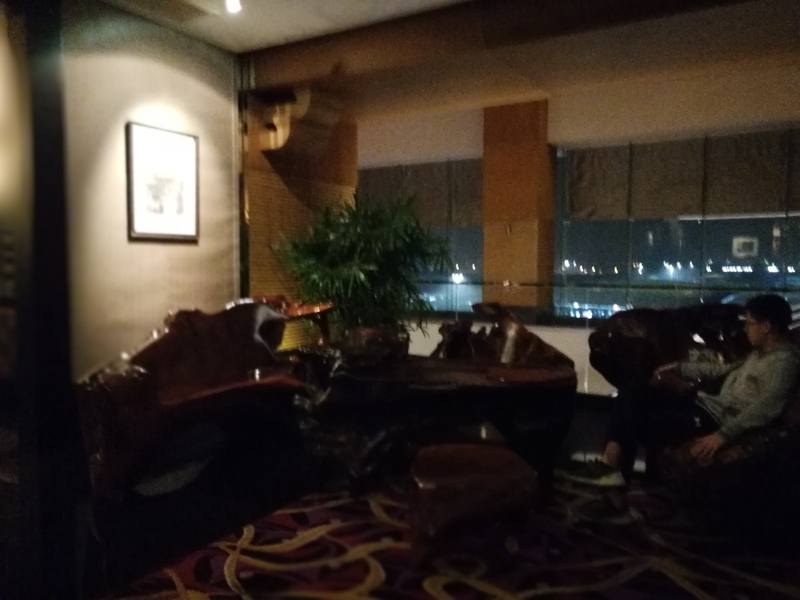 As usual, I got to choose the restaurant, and I knew exactly where to go: Shang- High at the Jumeirah Himalayas Hotel. My parents were reluctant as the place is quite far from the apartment, but my brother conveniently arranged a playdate near the place. We HAD to go. 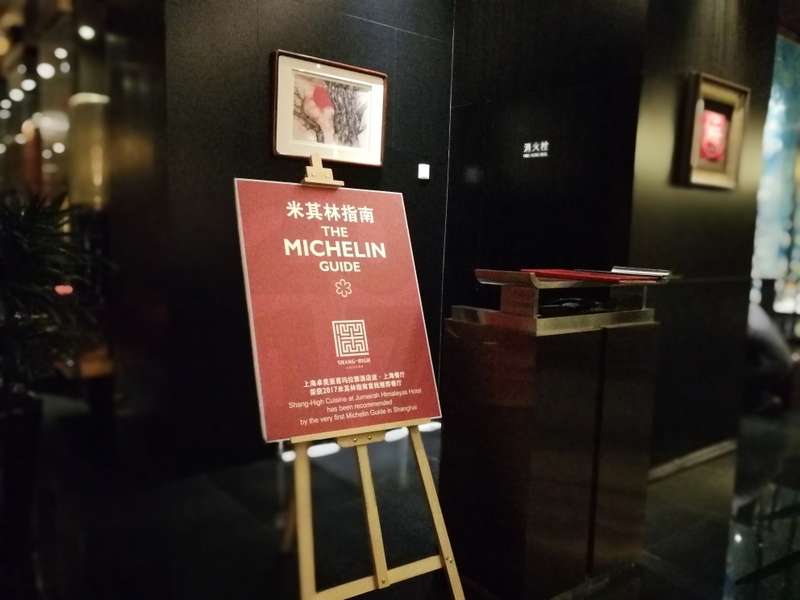 Shang-High at the Jumeirah Himalayas Hotel is Shanghai’s newest Michelin Starred restaurant. The hotel is attatched to the Himalayas Center, inconveniently placed across from a big expo center and the far superior( in terms of hanging out and shopping) Kerry Parkside. Honestly, if it wasn’t for the large banner announcing its Michelin status, I would never have thought to go there. Fortunately, the banner went up because Michelin starred Chinese restaurants are few and far between. 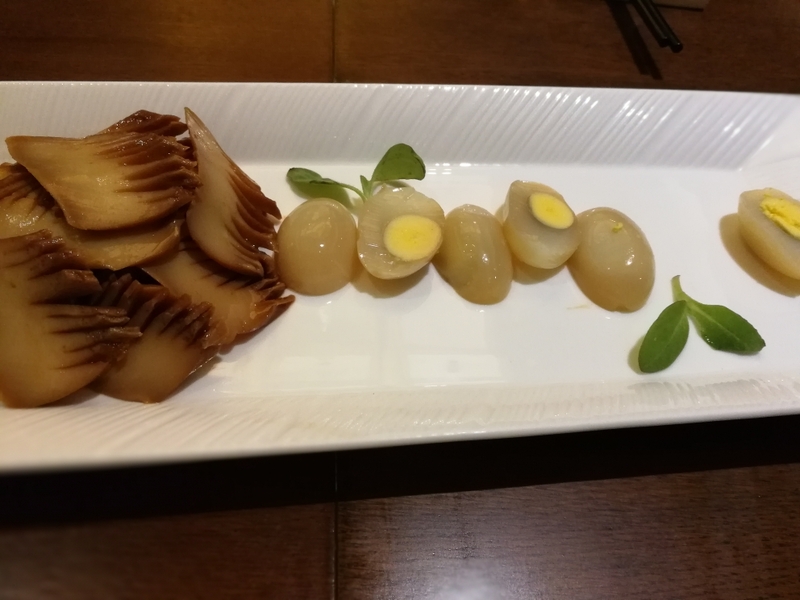 Quail eggs with Braised Cuttlefish- I probably should have gotten something like San Huang Chicken or smoked carp, but after seeing a picture, the choice was clear. Why? This dish featured cooked quail eggs that had translucent whites! Now that’s technique/ innovation. Taste wise, the dish was good, but not spectacular. The Cuttlefish was ridiculously tender and well flavored, but pretty ordinary. The eggs, although really cool, literally tasted like hard boiled eggs, unseasoned. Fish Lip and Soybean soup- This was honestly the highlight of the night. I know I’m a sucker for weird parts, but trust me, this soup is off the charts. 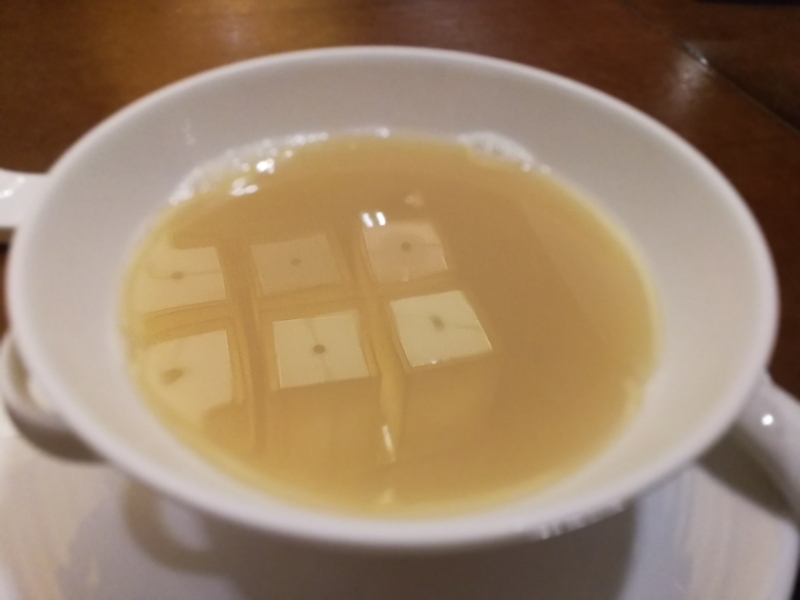 The broth is thick and rich from the collagen and soybean starch, but doesn’t grease or stick to the palate like many meat based broths do. Even better, the depth of flavor was INSANE. Order this dish. 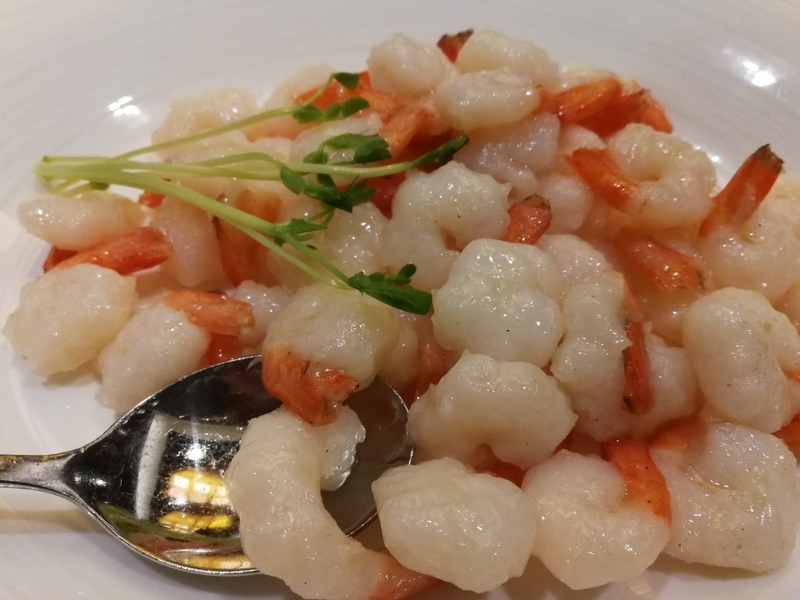 Stir- Fried river prawns- This Shanghai classic is actually one of their signature dishes. Personally, I don’t like stir fried seafood, so I’m not the best judge,but I must say the shrimp was incredibly fresh, flavorful and light. 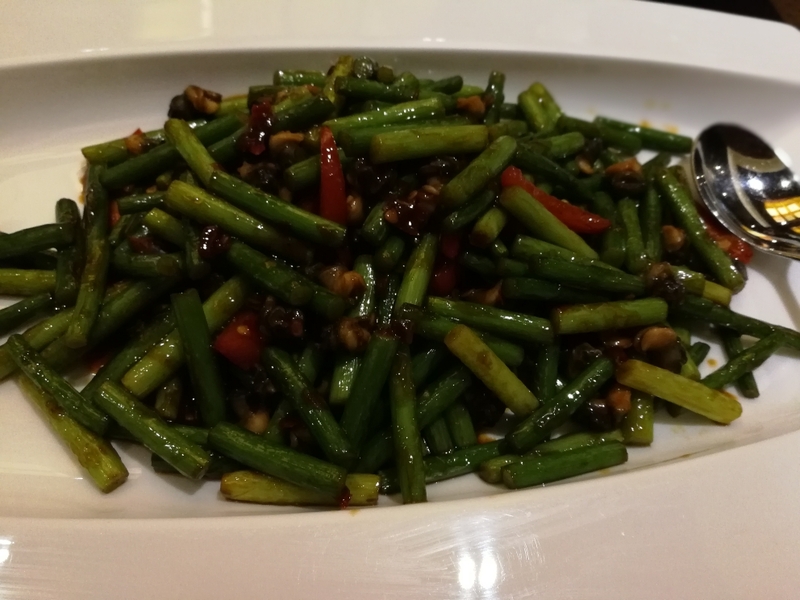 However, given the 218RMB (32USD) price tag, I wouldn’t say it’s exactly worth ordering, especially since restaurants like Shanghai Min have similar quality versions at much cheaper prices. 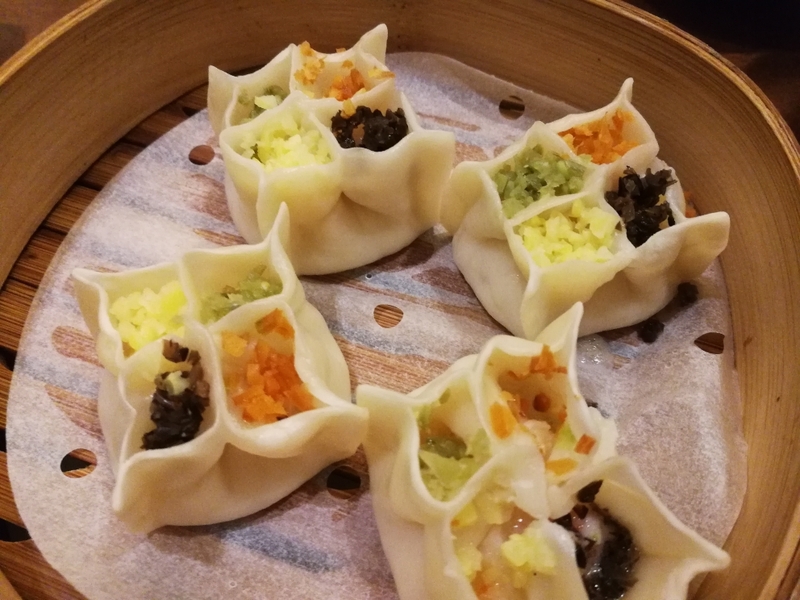 4 Treasures Seafood Dumplings-I get excited when I see seafood dumplings offered at nice restaurants, but my excitement quickly faded when the dumplings arrived. Sure, they were pretty, but I immediately noticed the tops were dried. 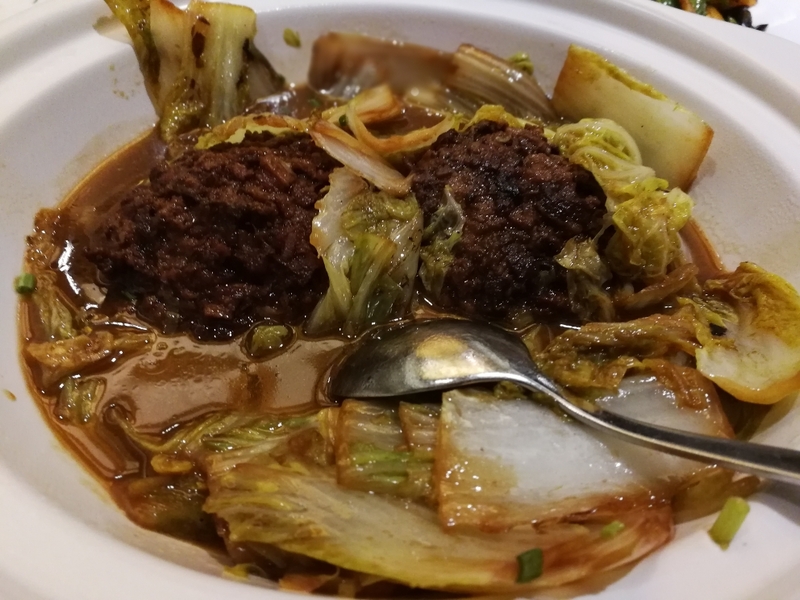 When I broke into the dumpling, I found that “4 treasures” meant flavorless and textureless morsels of carrots, garlic, wood ear and spring onion. “Seafood” also conotated a lone piece of shrimp wrapped inside. Luckily, the flavor and freshness of the shrimp as well as the impressive amount of soup saved the dish. Disclaimer: Take my reviews with a grain of salt. I ordered what I thought we would enjoy, not exactly the dishes that got the restaurant famous. This was the highlight of the meal. The restaurant, although small and open, had a cozy but very upscale feel. The traditional Chinese furniture was simple yet elegant and really contributed to the demure atmosphere. 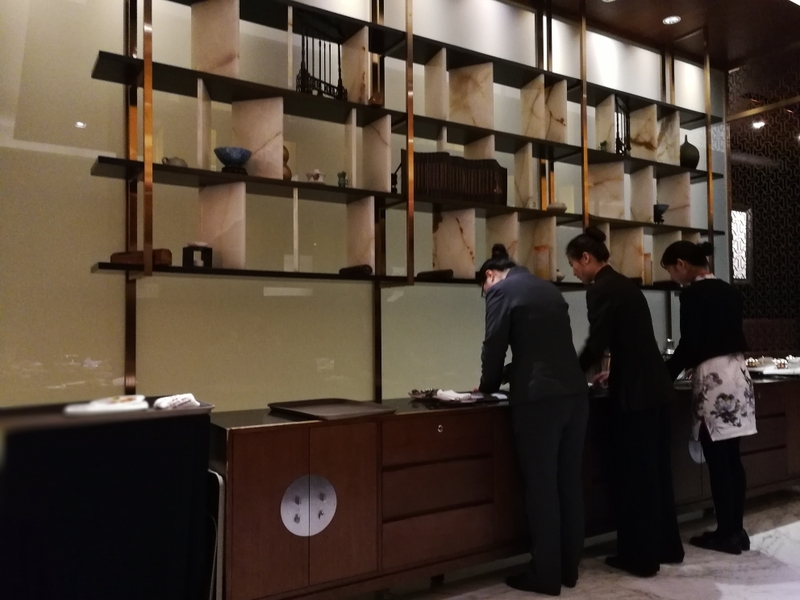 The staff were courteous, attentive and very very elegant. The most surprising would be the speed of service. Our egg dish came within 10 minutes of ordering. Overall, the restaurant was good, especially the service and atmosphere; however, I’m confused as to why this restaurant deserves a Michelin star, especially since I’ve been to cheaper restaurants where the food was just as good, if not better. That’s it for now. I hope everyone has a great week! Until next time, Bye!